My first brewday, Memorial Day weekend 2009. Hello. I’m Nick Ladd. Thanks for visiting my blog! If you’re here reading this, chances are we share a mutual interest in brewing and consuming humanity’s finest elixir! The Pour Report focuses on homebrew and all things craft beer, including local (and national) events, reviews, and travel. Currently based in Brooklyn, my perspective is primarily regional with a constant eye on national happenings. Occasionally, you will also find me writing about my fermentation and yeast-wrangling adventures outside the realm of beer. Fermentation. The muse at the center of many of the things I love; and my preoccupation for the past decade or so. Whether I’m brewing beer, baking bread, curing meat, or pickling various vegetables, the miracle of fermentation and how it transforms and elevates ordinary foods into new creations compels me. My explorations into fermentation began with bread and pastry and have quickly become dominated by beer. 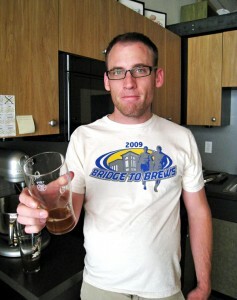 After an introduction from a couple of close friends, I brewed my first batch of beer over Memorial Day weekend 2009. Two extract batches later, I made the move to all-grain and have since brewed hundreds of batches. Since brewing my first batch, I’ve become engrossed in brewing competitions, brewed commercially on several occasions, become a BJCP National beer judge, and begun exploring my personal role in the world of beer. Join me as I continue my journey—with eventual plans of opening a commercial brewery. 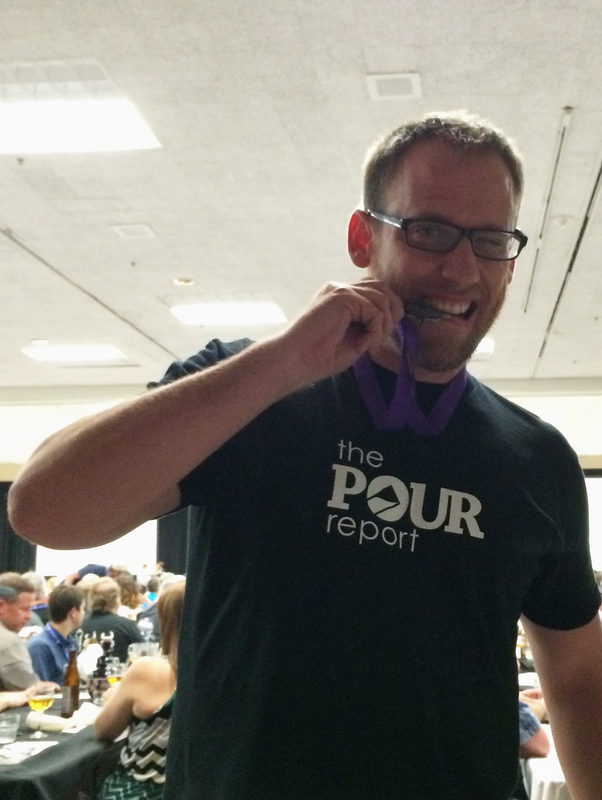 Brewing competitively is a great way to become a better brewer. 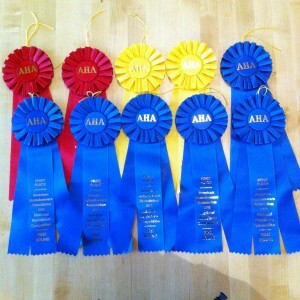 It allows you to receive impartial feedback from skilled judges who are just as passionate about homebrewing as you are. It’s also a fun way to test yourself and measure your brewing aptitude against your fellow brewers. And let’s not forget to mention the rush of winning; although, the thrill of the chase can be equally as enjoyable and rewarding! Congratulations on all your success so far. Good luck with the brewery. I must say I envy you just being in a country with so many craft brewers coming up. Anyway I wonder what extent to which any specialty bar or liquor shop carries large numbers of craft beers over there…? What I mean is that someone might be able to make a nice business from being such a business operator..and still be able to also have their own brewery… Who better to introduce them than a peer right..? Just saying.. Anyway good luck to you, your beers sound very nice..